Questions are funneling in from teachers and the School District about Olney’s staffing and budget respectively. Teachers are questioning the layoffs of 36 faculty members and the School District of Philadelphia wants to know where ASPIRA’s reported $2.7 million deficit came from. ASPIRA tells Newsworks.org that the layoffs were to tighten up overlapping teaching positions and that classes will not be big. Teachers say the slashes mostly undercut students who have special needs and are learning English as a second language. 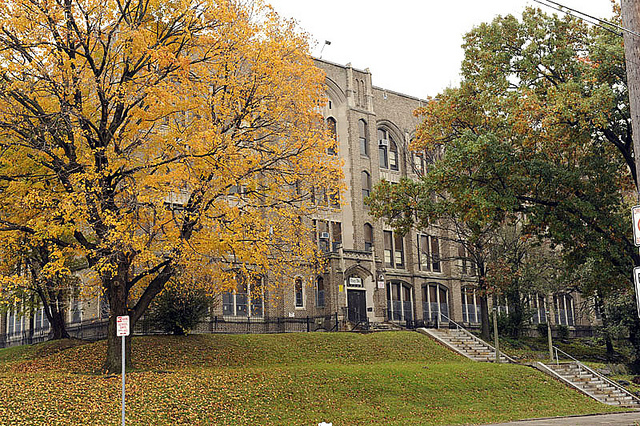 The School District wants to know exactly how ASPIRA is using its budget. ASPIRA received an earlier blow in 2014 after parents voted against the company taking over Munoz-Marin Elementary School. The District hints to Newsworks that ASPIRA may not receive a renewal contract for Olney Charter in 2016 if budget and test scores are not up to par. Those issues, teachers saying they are being punished for unionizing and educating students with a reported plunge in state-wide PSSA scores will be a lot to handle for the as-of-now unnamed new principal of Olney Charter.